WELCOME TO HOUSE OF LAWOF: Face of House of Lawof Season 2 is here!!! Face of House of Lawof Season 2 is here!!! 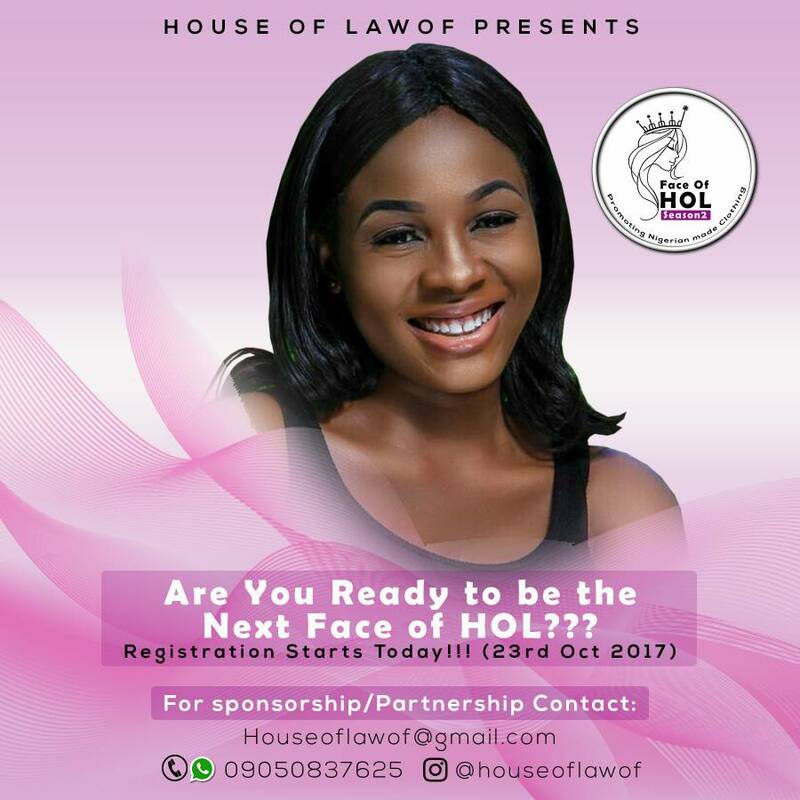 The much anticipated Face of House of Lawof season 2 is here!!! *Are you willing to become a fashionpreneur? *Are you ready to create awareness to create awareness for yourself in the fashion industry by promoting made in Nigeria clothing? *Do you have a great online presence? *Above all are you creative fashion wise? If your answers are YES, you can be the next FACE OF HOUSE OF LAWOF. AIMS AND OBJECTIVES OF THE CONTEST. *To boost the Nigerian economy by promoting made in Nigeria clothing. *To bring out the creative ability in individuals. For enquires and registration contact Dami on 09050837625. Jackie Appiah looks so beautiful! Rubbing minds with entrepreneur Foluke Akosile.